Coming October 16, 2015. A new tour through the Bluegrass state! 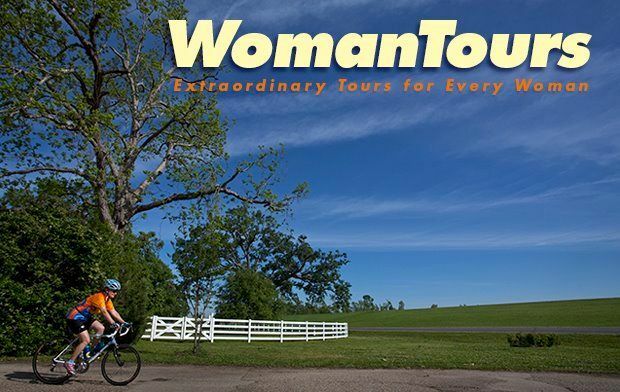 WomanTours has a 6 day cycling tour through the rolling hills of Kentucky. Starting in Lexington, the Horse Capital of the World, highlights include visits to a working horse farm and educational park, the oldest continuously operating mill in the state, a museum specializing in the decorative arts, an arts and crafts center, and a historic Shaker settlement, as well as plenty of free time to tour a bourbon distillery or two! This is a moderate to advanced level tour with days of up to 58 miles of cycling. As with all WomanTours, lodging, meals, van support and trained guides are included.